Those who become AIDS Rethinkers, HIV Skeptics, HIV/AIDS “dissidents”, typically become almost immediately astounded at how the mainstream ignores the facts that disprove the HIV/AIDS hypothesis: How can this be!?! This isn’t how science is supposed to work!! Against the Tide: A Critical Review by Scientists of How Physics and Astronomy Get Done, Martin Lopez Corredoira and Carlos Castro Perelman (eds), Universal Publishers, Boca Raton, Florida, USA. 2008. 265 pp. 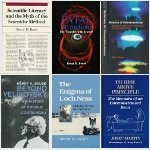 Another review, againsttideinfiniteenergy80review, is in Infinite Energy, a journal that publishes heterodox material about alternative energy sources, especially “cold fusion”, which is now more usually described as “low-energy nuclear reactions” (LENR) or “condensed matter nuclear science” . The most up-to-date information about this can be found at New Energy Times and a number of other web sites. “Cold fusion” was almost immediately dismissed as pseudo-science a couple of decades ago, but hundreds of researchers have continued to investigate the tangible indications that there is some unrecognized source of energy waiting to be tapped. Google offers a preview of “Against the Tide”, which can be downloaded free in a pdf version. Scientific knowledge is universal, whereas medical knowledge is local. 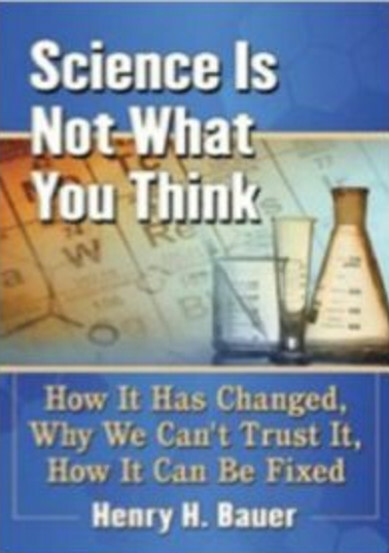 One of the norms of science that Robert Merton identified in the late 1930s is its universality: chemists and physicists believe and teach the same facts and theories everywhere. Atoms and electrons and molecules are described everywhere under identical laws. The movements of the solar system, when accurately described, are the same for Europeans as they are for Asians or Americans. The photoelectric effect, Brownian motion, X-ray spectroscopy, etc., etc., etc., have no regional or national variations in description (facts) or in explanation (theory). Whereas science left alone is universal, medicine left alone — in the unfettered professional hands of doctors — is not universal. What doctors believe to be the best treatment for a given condition varies from country to country, because the understanding of what that condition is, the explanation of that condition, also varies from country to country. 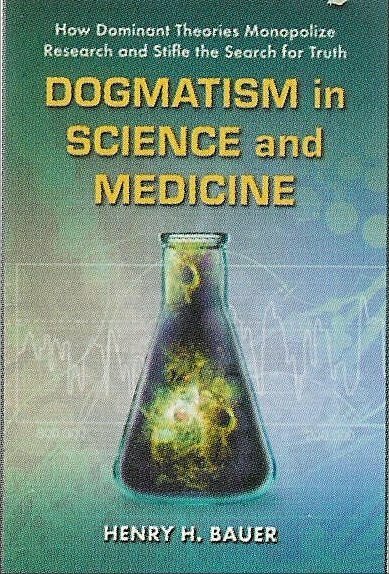 I’m not speaking of differences often referred to between Western medicine and Chinese medicine, or between “modern” and “traditional” or “folk” medicine; I’m speaking of differences between what is regarded as modern, “scientific” medicine in so-called developed countries. Anyone who has incurred similar illnesses in the United States and in Britain is likely to have encountered some of the differences I’m talking about here. When I’ve had urinary-tract (or other) infections in the United States, antibiotics were prescribed immediately; when I had one in Britain, the doctor told me that these are usually self-limiting, that it’s best not to use antibiotics unless absolutely necessary, and to come back if the infection hadn’t cleared itself within a few days. In the United States, my wife had been offered an hysterectomy whenever she was ready, because of occasional pain; in Britain, the gynecologist was aghast that anyone would contemplate so drastic an operation at so early a stage of occasional and minimal discomfort. At a time when acupuncture was still regarded as quackery in the United States, around 1960, a friend of mine was permanently cured of migraines by a practitioner of acupuncture in France. Nowadays, homeopathy is a respected technique in several European countries, but it’s viewed as quackery or pseudo-science in the United States. When it occurred to me to footnote my earlier post with this to-me-new insight, it also occurred to me that it would be good to have something more than such anecdotes to support the assertion that medical knowledge is local whereas scientific knowledge is universal. I enquired of a former colleague, the medical historian Ann LaBerge, and was rewarded by being referred to a truly marvelous book on the subject: Medicine and Culture — Varieties of treatment in the United States, England, West Germany, and France by Lynn Payer. I recommend it unreservedly to all and sundry. One indication of its value may be that it was first published in 1988, revised in 1996, and remains in print (the author died some years ago, though). As Payer herself acknowledges, medical practices change continually, and differences between nations don’t remain the same; thus acupuncture has gained a foothold in the United States, for example. But Payer does much more than delineate differences, she lends insight into the reasons. For instance, the attitude among Anglo-Saxons towards “natural dirt” is one of horror focusing on the “dirt”, entailing a great emphasis on disinfectants, frequent washing, and the like; whereas French medicine emphasizes the “natural” part and considers a certain degree of exposure to “dirt” as beneficial toward the acquisition of a robust immune system. Again, I would not have imagined that, 20 years ago, Germans would have been consuming 6 or 7 times as many heart medications as Americans, yet Payer has the data to prove it — as well as an intriguing suggested explanation rooted in cultural context. 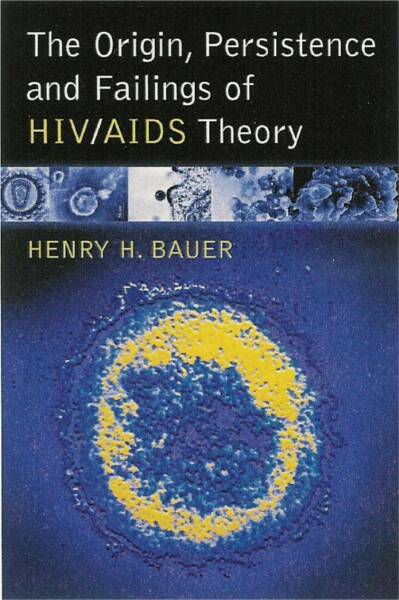 Unfortunately, there don’t seem to be radical differences between countries regarding HIV/AIDS theory. There are some minor discrepancies as to “HIV” tests, of course; Val Turner has pointed out succinctly and clearly that there are about a dozen different criteria in use in different regions and laboratories for what supposedly constitutes a “positive” Western Blot [“HIV tests: danger to life and liberty“, 16 November 2007; for a very detailed critique, see “Valendar Turner’s evidence in chief” (1.2 MB pdf)]. There are also differences in criteria for an AIDS diagnosis: in Africa under the Bangui definition, clinical diagnosis doesn’t need the support of an HIV test; and few if any other countries agree with the CDC’s decision to regard, as AIDS patients, asymptomatic HIV-positive individuals with CD4 counts below 200. On the central mistaken points, though, that HIV causes AIDS and that HIV is sexually transmitted and that antiretroviral drugs are a good thing, there seems to be trans-national agreement. Still, the general point, that medicine isn’t science, is fully illustrated by the sad tale of HIV/AIDS. “Cognitive dissonance” is the social scientists’ way of saying, “Not seeing what we don’t wish to see”. “Being in denial” has crept into common usage to describe the same phenomenon; “State of Denial” is Bob Woodward’s book about that situation in the Bush White House. “In the era of combination antiretroviral therapy, . . . the risk of several non-AIDS-defining conditions, including cardiovascular diseases, liver-related events, renal disease, and certain non-AIDS malignancies [97-102] is greater than the risk for AIDS” [emphasis added]; see p. 13 in the 29 January 2008 version of the NIH Treatment Guidelines. “Meta-analysis” means the collation and analysis of previously published studies; in this case, no fewer than 11 from around the world: “Shiels and her colleagues drew their conclusions by analyzing 11 U.S. and international studies comparing cancer rates of HIV patients and the general population”. The meta-analysis merely dots i’s and crosses t’s on what was already rather evident from study after study. Note too the same misleading reportage as with “HIV-associated” lipodystrophy [“Misleading is worse than lying . . .”, 10 November 2008]. It is misleading to speak of a higher risk of cancer in “HIV-positive” individuals: that risk has not been found among the long-term non-progressors, the elite controllers, or the many healthy HIV-positive individuals who have managed to stay clear of the official HIV/AIDS system; the increased incidence of cancer is only among those individuals who are receiving HAART. Not that this should be any surprise, for oncology has long recognized that individuals successfully “cured” of a given cancer by chemotherapy or radiotherapy incur an increased risk of contracting some other cancer by about a decade later. The biological effects of HAART chemicals are rather similar to those of cancer chemotherapeutics, so it is only to be expected that, about a decade after the introduction of HAART, an increased incidence of various cancers begins to show up among people receiving HAART. “Physicians in the U.S. are reporting a higher risk for certain types of cancers — such as liver, head, neck and lung — in people living with HIV/AIDS, raising concerns that a cancer epidemic is imminent in the population, the Baltimore Sun reports. According to the Sun, Meredith Shiels, a doctoral candidate at the Johns Hopkins Bloomberg School of Public Health, presented a paper on Tuesday at the seventh annual American Association for Cancer Research International Conference on Frontiers in Cancer Prevention Research that said people living with HIV [again: instead of “people on HAART”] are twice as likely as the general population to develop cancers not previously linked with the virus. Other studies have found that people living with HIV have as much as a 10 times greater chance of developing certain cancers compared with the general population. William Blattner, an associate director of the University of Maryland Institute of Human Virology, said researchers are ‘really at the first stages of systematically looking at the epidemic and fully looking at cancer.’ He added that ‘[b]efore, you died from AIDS, so you didn’t have time to develop cancer. … The unusual observation is the cancers are occurring at a much younger age’” [emphasis added]. “Although researchers do not know the exact reasons for the increased risk of developing some cancers, there are several theories as to why HIV-positive people are more susceptible, such as the increased life expectancy due to antiretroviral drugs” [emphasis added]: but that — living longer — has just been excluded, in the immediately preceding sentence, no less: these cancers are, “unusually”, occurring at a young age, in other words, not because people are living to the ripe old ages where these cancers are normally encountered. The real reason creeps in only as a subordinate clause: “weakened immune systems related to the virus or the effects of antiretrovirals” [emphasis added]. “the likelihood of increased high-risk behaviors in people living with HIV”[emphasis added]. Can they be serious? How can a Kaiser Report disseminate something like this? What sort of high-risk behavior, by HIV-positive people or by anyone else, can bring on cancers at an unusually young age?! Continually inhaling nitrites (“poppers”), perhaps? Of course, there is a high-risk behavior that HIV-positive people are very likely to display: accepting anti-retroviral treatment. But I doubt that this is what was meant. “The Sun reports that a well-known researcher ‘wonders’ if antiretrovirals could be a carcinogen” [emphasis added]. I suppose that any mainstream researcher who is aware of the facts and is trying to draw attention to them without being excommunicated and losing his grants might put it like that; it would be too personally dangerous to point out that anti-retroviral drugs are known carcinogens. “Mark Wainberg, director of the McGill University AIDS Center in Montreal”: The guy who wants to put AIDS Rethinkers and HIV Skeptics into jail [The Other Side of AIDS; “Flight from the AIDS police”]. The guy who wants them to be fired from their jobs (“AIDS and the dangers of denial”, Globe and Mail, 4 July 2007). The guy responsible for introducing one of the AZT-analog carcinogens (3TC, lamivudine). “However, people with HIV who develop cancer do not ‘always have the weakest immune systems, further confounding researchers,’ . . . Eric Engels, a researcher at the National Cancer Institute studying HIV/AIDS and lung cancer, said research into how the immune system and cancer interact could provide a wider application than just helping people living with HIV. ‘This research has implications for people who have a healthy immune system, too’”. “ . . . cases of lung cancer among people living with HIV are increasing, and a 2003 study . . . found 80 cases of HIV-positive lung cancer patients out of a total 12,000 lung cancer patients . . . . people living with HIV have a three to five times higher risk of developing lung cancer than the general population, with a high risk even when controlled for smoking. He [Engels] also said the median age of lung cancer patients who are living with HIV is 46, compared with 64 among the general population. ‘The deaths here were overwhelmingly cancer-related. They were not due to AIDS . . . these patients die and they die quickly,’ with an average period of six years between HIV diagnosis and lung cancer diagnosis. . . . although the cancer is not caused by a virus, it could be the result of an unknown infection, scarring of the lungs or some type of inflammation, which could explain why it is increasingly being found in people living with HIV” — WHO ARE BEING FED TOXIC CHEMICALS THAT ALSO ACT AS CARCINOGENS! Recall that infection by HIV is supposed to be followed by an average period of a decade or so before any signs of illness evidence. That estimate of the “latent period” grew longer over the years because experience showed that HIV-positive people simply weren’t becoming more quickly ill; THEY WERE NOT GETTING CANCER, EITHER, WITHIN 6 YEARS. That’s been happening only in the era of “lifesaving” HAART. “Shiels said that the trend in cancer development in HIV-positive people might have been detected earlier if antiretrovirals were developed sooner. ‘Perhaps if they had lived longer, we would have seen this 10 years ago’”. But HIV-positive individuals who avoid anti-retrovirals have been living longer (see, for example, The Other Side of AIDS; Christine Maggiore, What If Everything You Thought You Knew about AIDS Was Wrong? ) They are not the ones getting these cancers at “unusually” young ages. “Men with HIV were 2.3 times more likely, while women with the virus are about 1.5 times more likely to develop these other cancers . . . . However, people with AIDS have similar incidence rates of these cancers as the public at large” [emphasis added] (“Non-AIDS Cancer Risk Higher for Those With HIV”). “Kevin Cullen, director of the University of Maryland Greenebaum Cancer Center, said that 10 or 20 years ago ‘virtually no one [living with HIV] who developed cancer could survive rigorous cancer treatment,’ but antiretrovirals have allowed people to successfully undergo cancer treatment” — thus contradicting directly what was just cited from Eric Engels, that these lung-cancer patients were dying “quickly”. This mish-mash brought me, as so often, to the realization that no one is apparently keeping a global, overall watch on the HIV/AIDS scene; least of all, unfortunately, the media, be it the mainstream organs or those specializing (like the Kaiser Daily HIV/AIDS Report) in medical matters. Almost daily, certainly weekly, there come these mutually inconsistent, ignorant-of-recent-history, cognitively dissonant pronouncements, at odds with published facts, replete with disproved shibboleths — for example, that “HIV used to be a death sentence. Now, with the advent of highly effective antiretroviral drug therapy, people with HIV can be expected to live nearly as long as the general population” (“People with HIV at increased risk for cancer, study finds”; “As life span has increased”). The latter source also asserts that “some cancers have been linked to HIV, such as Kaposi’s sarcoma, non-Hodgkin lymphoma and cervical cancer” — when it’s been accepted for more than a decade that HIV is NOT the cause of Kaposi’s sarcoma or cervical cancer, which are (currently) blamed respectively on HHV-8 (or KSHV) and HPV. “This thing is going to be studied long after our time. This is so much greater than the Lysenko Affair [which had set Soviet agriculture and biology back decades]. I’m urging all of my colleagues to save all of their papers and make the historical record as complete as possible. What was the dynamics of the events that led to poisoning people with AZT? Because this is a major historical event that is going to be studied for 100 years — how the United States gave AIDS to the world” (HIV = AIDS: Fact or Fraud?). “More than 40 young children have been infected with HIV at a hospital in Uzbekistan, officials have said” (BBC News: Uzbek children in ‘Aids outbreak’, by Martin Vennard). A UNAIDS 10th anniversary special edition), the overall prevalence of “HIV” in Uzbekistan was 0.2% (0.1-0.7); in 2007, it was 0.1% (<0.1-0.3; 2008 UNAIDS Report). Wherefrom, one wonders, came the HIV that infected those children? For comparison, the prevalence is reported as 0.6% in North America and 0.3% in Western and Central Europe, in none of which regions there have been general epidemics among the heterosexual population, only gay men and injecting drug abusers are at risk [“WHO SAYS that WE’VE BEEN VERY WRONG about HIV and AIDS? (Clue: WHO = World Health Organization)”, 10 June 2008]. The Uzbekistan rate is about as low as reported from anywhere; it’s even low compared to the rest of its region (0.8% in Eastern Europe and Central Asia as a whole). How did HIV get to that hospital to infect those babies?! “Unsafe blood supplies and contaminated equipment are often blamed for spreading the infection”: But from where came the infected blood? How was the equipment contaminated? According to mainstream sources, “HIV” doesn’t remain infectious for long when it’s outside bodily fluids; so to transmit HIV via needles or other “contaminated equipment”, the original carrier must have been in contact with that equipment only hours earlier. What equipment was used within a few hours by all those babies PLUS someone else? That postulated carrier ought to be readily identifiable. Or, did all those babies receive blood, and from the same batch? “The infections in Uzbekistan are just the latest case of mass contamination in a health facility in the region. In August, a court in Kyrgyzstan convicted nine medical workers of infecting 24 children with HIV, while last year 21 medical workers in Kazakhstan were found guilty of infecting dozens of babies. . . . Aid workers say the stigma surrounding HIV/Aids [sic] and the atmosphere of secrecy means that many outbreaks of hospital-acquired infection do not get reported. In July this year, Jimmy Kolker, a senior UN official on HIV/Aids, called on Central Asian governments to record and share their information on cases. He was speaking at a meeting in Uzbekistan, which was discussing how to tackle a regional epidemic of HIV among women and children” [emphasis added]. AIDS, let’s not forget, was a phenomenon of Kaposi’s sarcoma, Pneumocystis carinii pneumonia, and Candida (yeast infection, thrush), experienced by those who heavily abused drugs by injecting them and by gay men whose lifestyle included a great range of unhealthy practices including abuse of drugs, non-injected as well as injected. Twenty-five years later, “HIV/AIDS” is being regarded as a threat to every population, as though “HIV” could pop up anywhere at all, no thought needed as to how it might have got there; and the media cheerfully parrot without comment an “expert’s” statement about a regional epidemic among women and children! 1. At the same clinics, needle-sharing addicts test “HIV-positive” LESS often than those who don’t share needles (sources cited at p. 86 in The Origin, Persistence and Failings of HIV/AIDS). 2. Newborns typically test “HIV-positive” at a much higher rate than that in the population as a whole (Tables 25-27, pp. 98-99, ibid.). 3. The overwhelming majority of “HIV-positive” babies revert spontaneously to HIV-negative within a year (idem., ibid.). Points 2 and 3 in particular are some of the many data that show “HIV-positive” to be a highly non-selective, non-specific indicator of physiological stress or immune activation. There’s also overwhelming evidence that “HIV-positive” is not a contagious condition, and that “HIV” doesn’t correlate with “AIDS” (The Origin, Persistence and Failings of HIV/AIDS Theory and numerous references cited there). not because they’re infected with “HIV”. ST. LOUIS — Walking the halls of Normandy High School between classes, Mya McLemore, a senior, pays close attention these days to the faces of her fellow students. She keeps an eye out for those who avert their gaze, whose lips quiver or who allow a telltale tear to roll down their cheeks. ‘I’ve been observing people, trying to see who’s acting different,’ said Mya, 16. . . . Life, . . . has been far from normal for students at this struggling high school in suburban St. Louis since they learned last month that as many as 50 of their classmates may have been exposed to H.I.V., the virus that causes AIDS. . . . Ninety-seven percent of the students chose to be tested. Results are expected this week. . . .
‘It’s the only thing we talk about,’ said Jamar McKinney, a junior. ‘Who could have H.I.V., who started it, how many people may have it. We always agree on who we think has it. . . . I don’t trust nobody until I see the results,’ he said, adding that he plans to display his negative test results on a T-shirt. . . .
One can only hope that McKinney’s T-shirt idea doesn’t catch on; but it’s exactly the sort of thing that is all too likely to become a fad. But I hadn’t then known that the “student population is 99 percent black”. The school superintendent can of course be excused for swallowing HIV/AIDS dogma, but someone in his position ought to be more adept at dealing with such a situation. “We didn’t have a playbook,” he was reported as saying. That strikes me in about the same way as when the (briefly) head of the World Bank, Paul Wolfowitz, tried to defend his appointment of his lover to a highly paid position. It’s simply an admission of being unfit for the job.